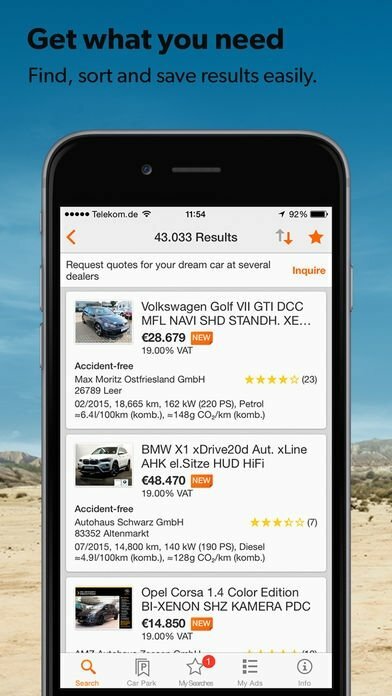 mobile.de is the best platform to purchase a new or used car in Germany as it incorporates adverts of over 1.4 millions vehicles. But not only cars, also motorbikes, trucks, caravans, trailers, and industrial and agricultural machinery. And excellent application equipped with a simple search system with all sorts of filters to find exactly what we're looking for. 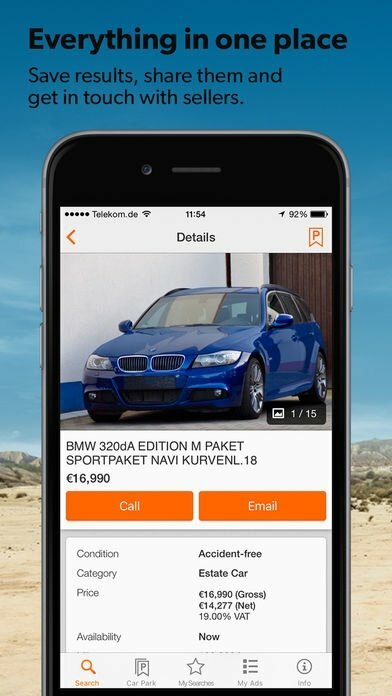 The iPhone version of mobile.de - vehicle market (you can also download it for Android in APK format) offers us a complete system of filters to adjust our search to what we really want. It doesn't matter if you're looking for a Ford Mustang, a BMW or a Mercedes James Cook, whether we want a diesel or a petrol engine, or we want to find a vendor in Munich or Dusseldorf: the search options are very flexible. If on the contrary, you want to sell your vehicle, there's no problem either: just take one or several photos of your car and complete the form with its specifications and any other information demanded. In just a few seconds your advert will be online. 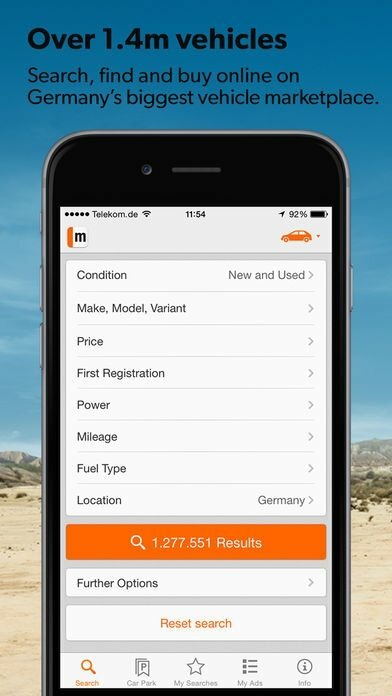 Audi, RS4, Porsche Cayenne or a Fenwick forklift: you'll find it on mobile.de. 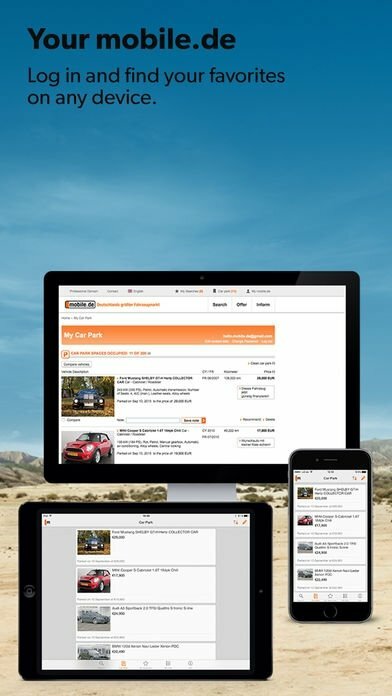 Search for all kinds of vehicles or trailers. Check the specifications of the vehicles with a simple glance. Save your searches and get back to them at any moment. Sync the searches with other devices, whether Android or the service's official web page. Enable the notifications system for when any of your searches has new results. Check the location of the cars on sale on a map. Check all the cars sold by the same vendor from a single page. 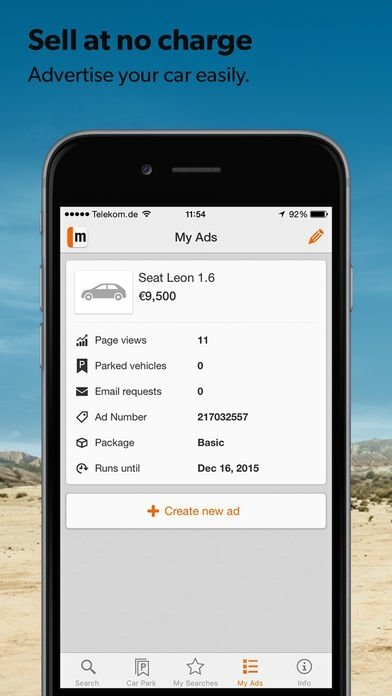 Check visibility stats about your adverts. Recommend vehicles to your contacts through WhatsApp, Facebook or Twitter.